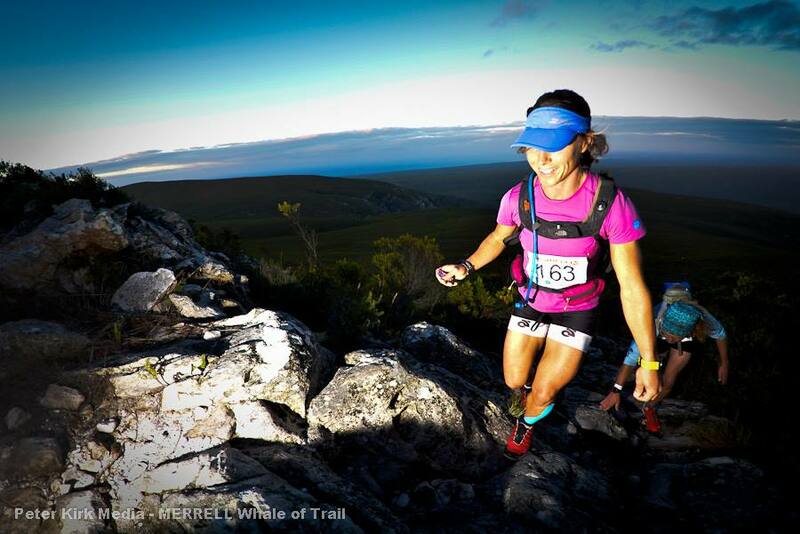 Ultra trail race entries come with a hefty price tag these days – so much so that I tend to avoid them. 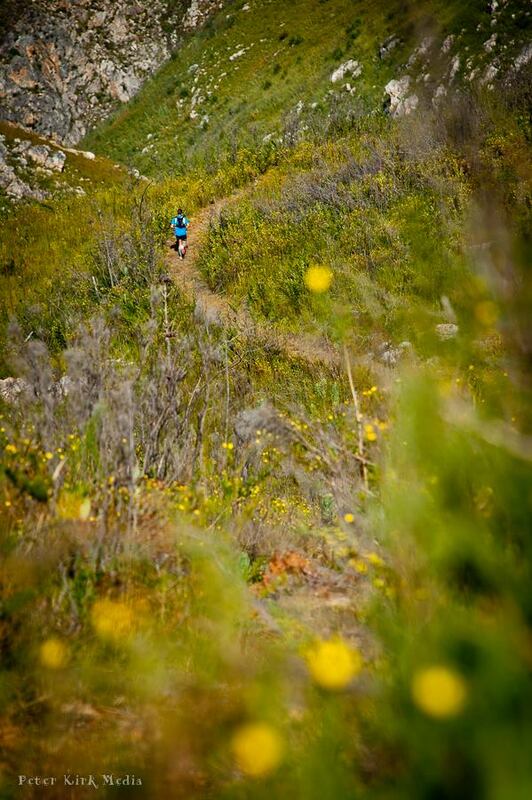 As a freelancer, it’s difficult justifying a couple of thousand Rand on a day out on the trails. So when I got wind of a trail race entry with ‘free to a good home’ all over it, I grabbed the opportunity. The previous entrant had torn a hamstring and was unable to run. She seemed happy to just see it used. What an incredible gift! 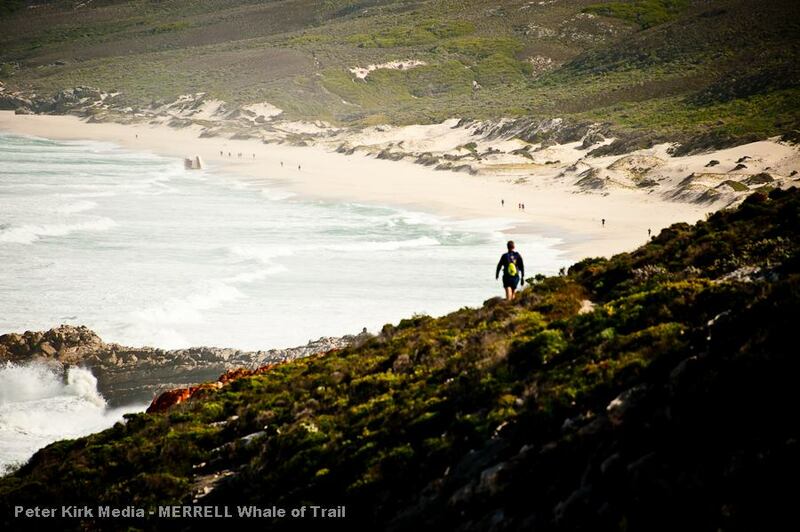 The venue was De Hoop, and more specifically the Whale Trail – a 5-day hike which takes hikers through 53 kays of magical mountain and coastal fynbos from Potberg (home of one of the few healthy Cape vulture colonies) all the way to Koppie Alleen (where up to 50 whales have been spotted at one time). 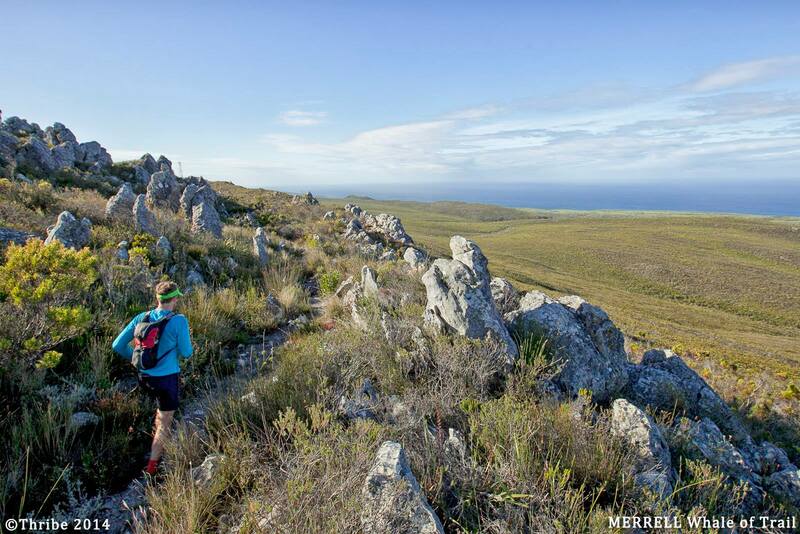 The trail winds its way through a glorious tapestry of limestone and sandstone fynbos, and the coastal stretch hugs one of the largest marine protected areas in SA. 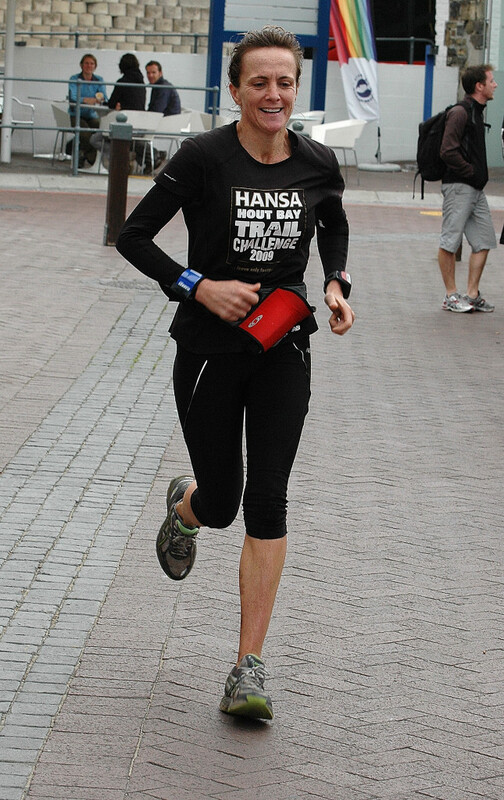 I was nervous about the distance – coming off a prolonged period of injury and with my longest training run standing at 30 kays a week before. One or two of SAs top trail ladies were in the mix, so I had resolved to just go out and enjoy the route, take the odd photo, maybe even sit on a rock for a picnic at some point…no hope of any glory with this one. We set out from the De Hoop homestead (base camp) at 5-30 am sharp….a couple of buses winding their dusty, diesel chugging way through to the start….a solid 50 minute trip, with all the usual pre-race banter and steamy windows. The air was chilly, but we had two wonderful big wood fires burning to huddle around, toasting fingers and toes and jiggling our legs nervously while the race organiser did her motivational thing over the mike. It’s been a little over 2 and half years since I have found myself chest to chest with some of these elite runners in the starting block. There were nerves, granted…but also a rare sense of calm. I was more than comfortable with the fact that I could come home in the middle of the pack, or even the back-enders. Then we were off. I felt comfortable and enjoyed the shouting and the encouragement from the sidelines. I could see my friend Linda ahead and slotted in behind a small group near her. 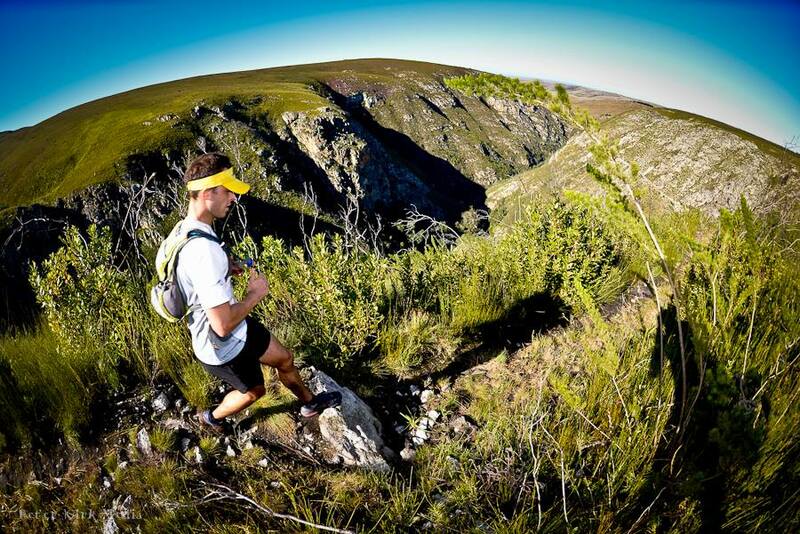 We headed up the slopes of Potberg and the pace was perfect, with an easy run, walk, run, walk rhythm. Plenty of spare breath to chat and catch up along the way. About 5 kays in I looked up and saw a handful of Cape Vultures floating above us, looking down at us – their wing tips curling in the light, buchu-scented morning breeze. 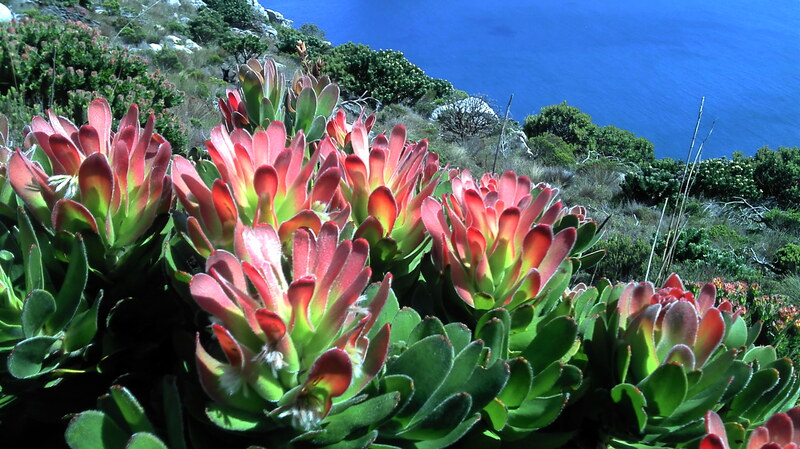 The views were spectacular – the sunlight touching the rocks and drenching the fynbos in a glorious orange light. 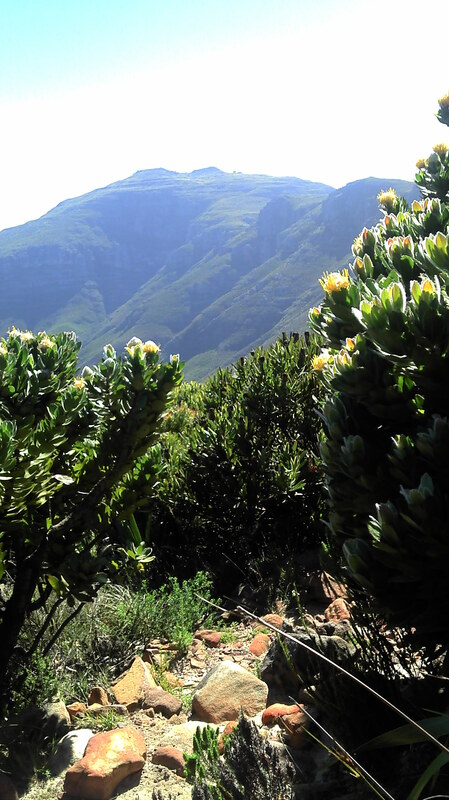 The views either side of the Potberg ridge down into the valley were exceptional . Four of us started out together and stuck together for a solid and fairly speedy 20 odd kays. I would perhaps not have run so fast had I been alone. For some reason I was determined to stick with this group – even if it meant skipping the first refill (water) station! 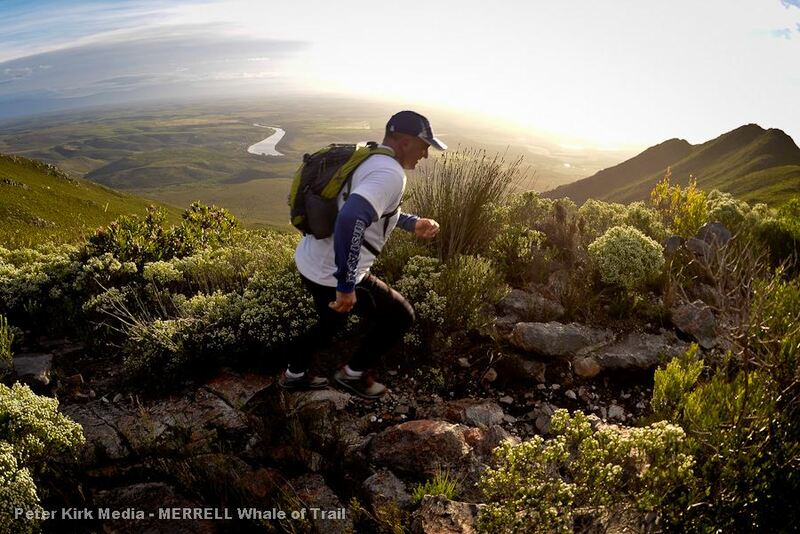 This was trail running at its very best with undulating single track from start to finish. 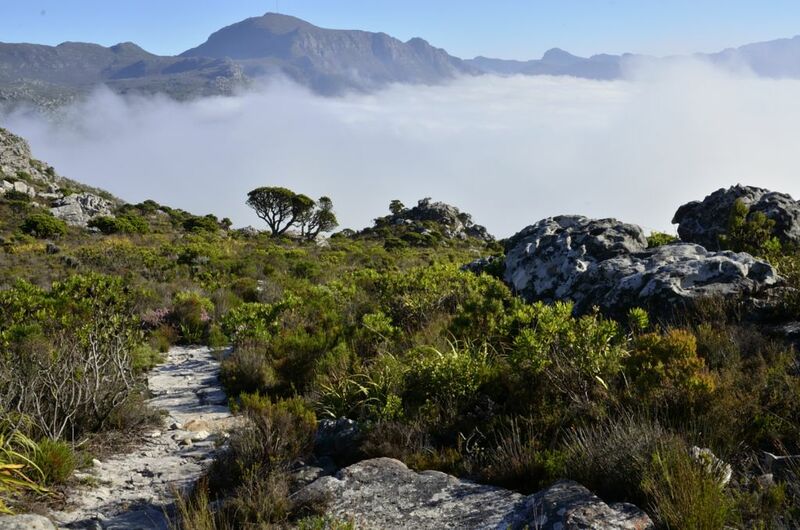 One minute we’d be rock hopping along protea-speckled mountain ridges, the next we’d be sloshing through boggy riverbeds, teetering over pole bridges, leaping over hardened limestone formations or wading through the thick treacle-like beach sand. I was alone for the entire coastal stretch…left alone with the pain demons and voices in my head. The rest of our cozy little group bounded off into the horizon never to be seen again…. From this point on things got tricky with ankles not playing ball, sore feet and bad nutrition. The nausea kicked in with about ten kays to go. 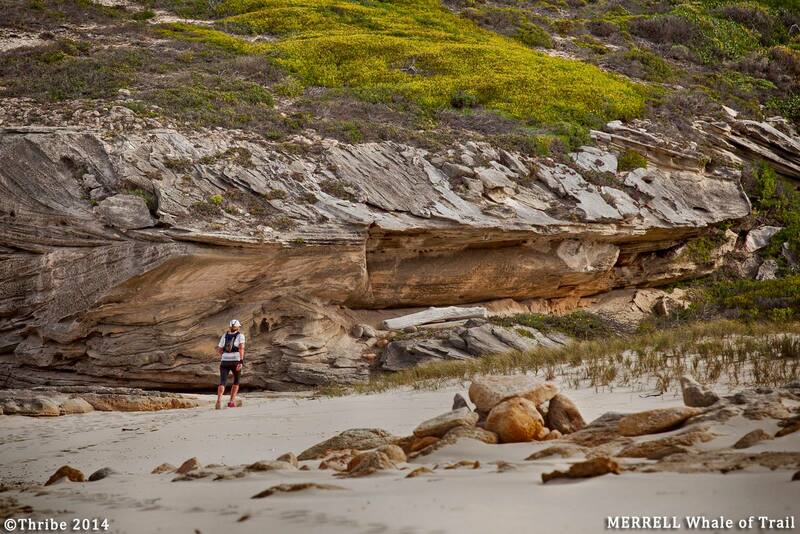 The beach stretches were hard and endless – thick, deep sand with a headwind is never fun. 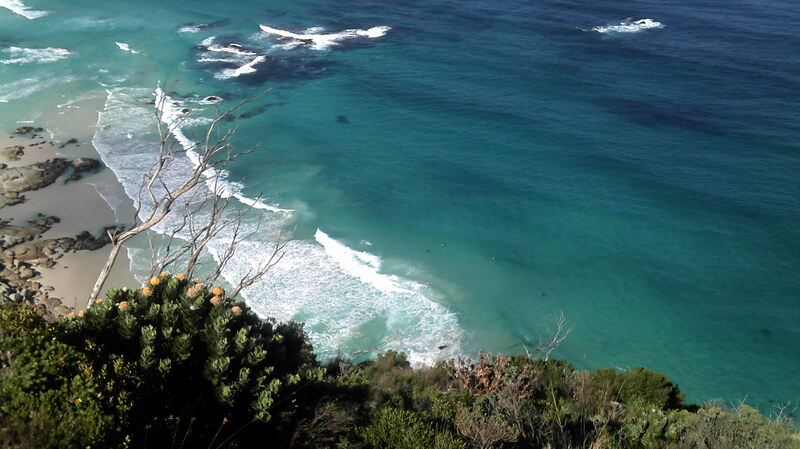 But I took my shoes off and played in the surf for a bit – nothing like the icy ocean to soothe aching muscles! There was nothing sweeter than hitting the final steeply sloping boardwalk and coming into the finish. If there are any regrets it would be NOT stopping several times along the way to take photos, to fill my lungs with precious ozone, soak up the view and realise how completely blessed we are to live in such an extraordinary country. I’m always left wondering about our need (as trail runners) to bolt out of the starting blocks and charge around such glorious places with barely a sideways glance. When your head is down and the focus is so intense – there really is so little time to take it all in and appreciate it. What is that all about? Extreme caution! Please do not leave the path or attempt to climb down any cliffs. The caves are not hiker-friendly. Bees and leopards have taken refuge in these caves over the years. You cannot get much wilder and woolier than that! 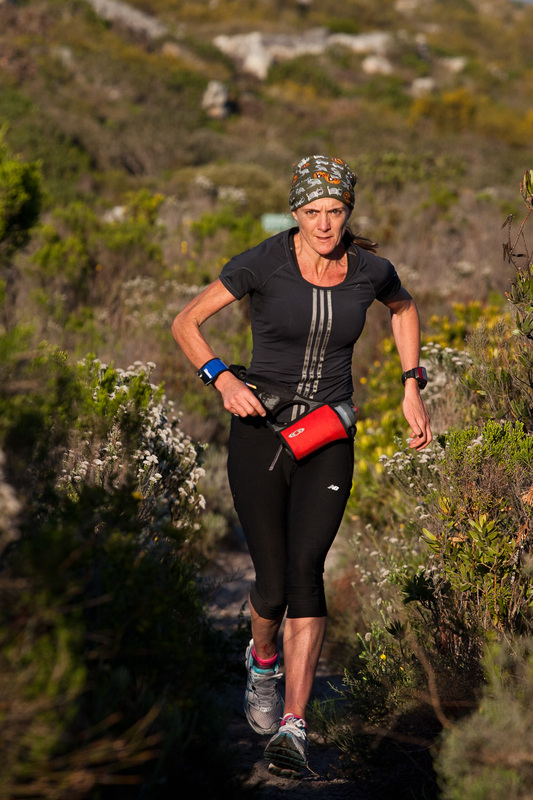 The reason this blog started a few years ago was to share my experiences on the trails where I run. To take you with along the rugged, rocky pathways and give you all a sense of what I love so dearly. A very stubborn Achilles injury has kept me away from my beloved mountains for FAR TOO LONG and it has been a pretty bleak year – having to settle for an indoor swimming pool and a mountain bike (though the latter really has been a reasonable substitute, I suppose). Today I hit the trails again, Achilles tape firmly in place, brand new Salomon pack on my back and a very positive headspace. I had no route planned, just went with where my feet took me. 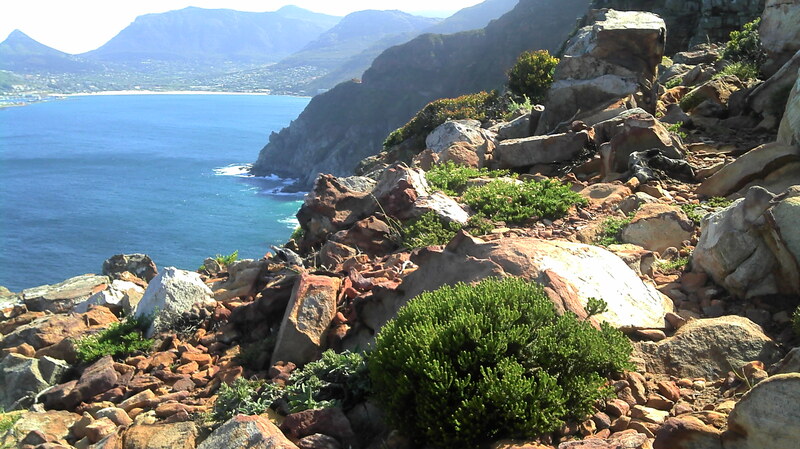 I ended up veering off the Chappies tarmac and up in to the mountain to the top of Chapman’s Peak proper. The more altitude I gained, the stronger I felt and the more I wanted to run/scramble to get to the top. I stopped a few times to take some of these pics and then after a brief pause at the trig beacon, zoomed down the other side, skipping over rocks, dancing over roots and quite literally laughing out loud at the sheer joy of it all. There is so much I love about it, it’s not easy to put it into words. The completely intoxicating solitude, the space, the speed (sometimes! ), the outrageous beauty at every turn, the pleasure of feeling the strength coming back into my legs, the desire to just keep going and the knowledge that I can. 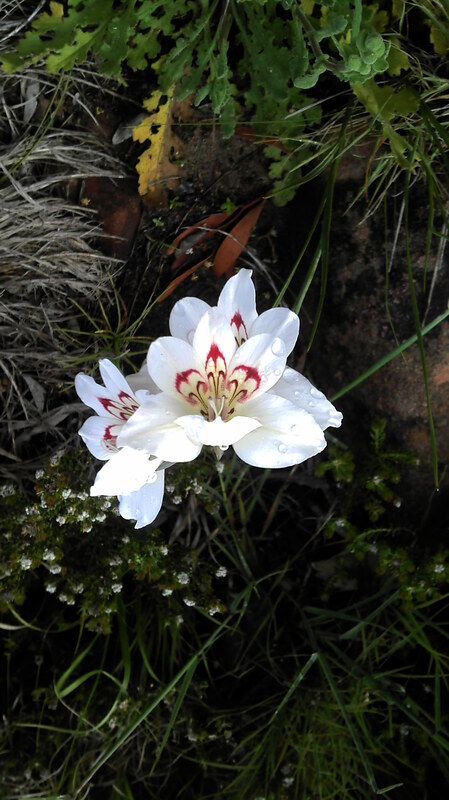 BUT I am ‘cautiously optimistic’ that I can start to play in my mountains once again. 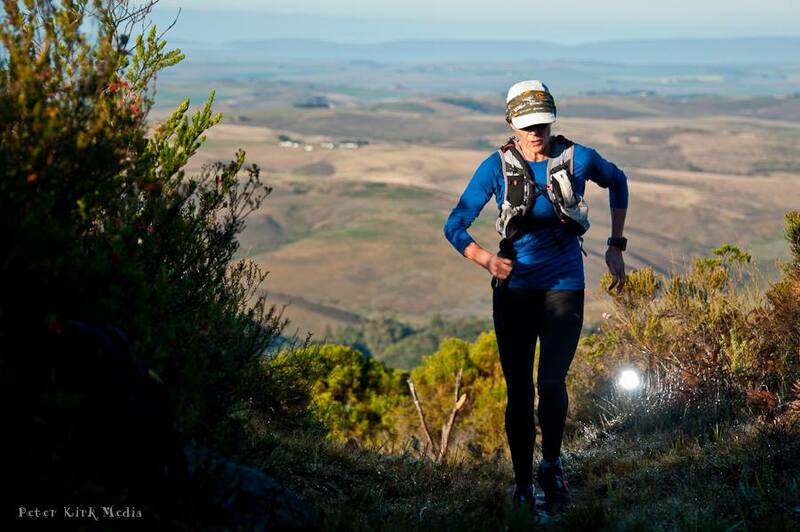 The Puffer journey really begins around April when the decision is made to enter and the commitment to race is cast in stone. The physical training is always rigorous, but getting the mind tuned and focused is without a doubt the biggest part of the whole process. This year was a big one for me. I wanted to defend my title and win the trophy back for another year. More than that, I wanted to break the woman’s record of 8:13. Puffer was my big focus for the year. Nothing else really mattered. Everything would be geared towards this day: Saturday the 27th August. PUFFER – running offroad to save the toads!